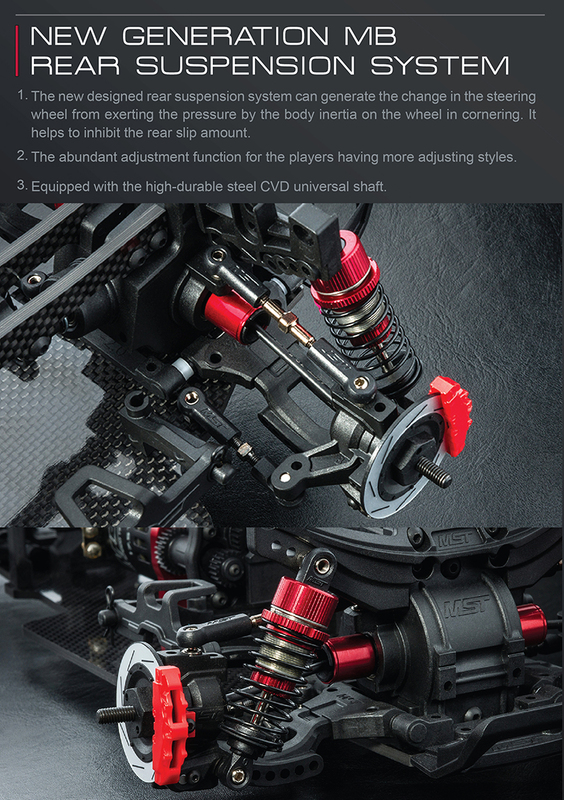 ● Middle motor mounts and centralized configurations. 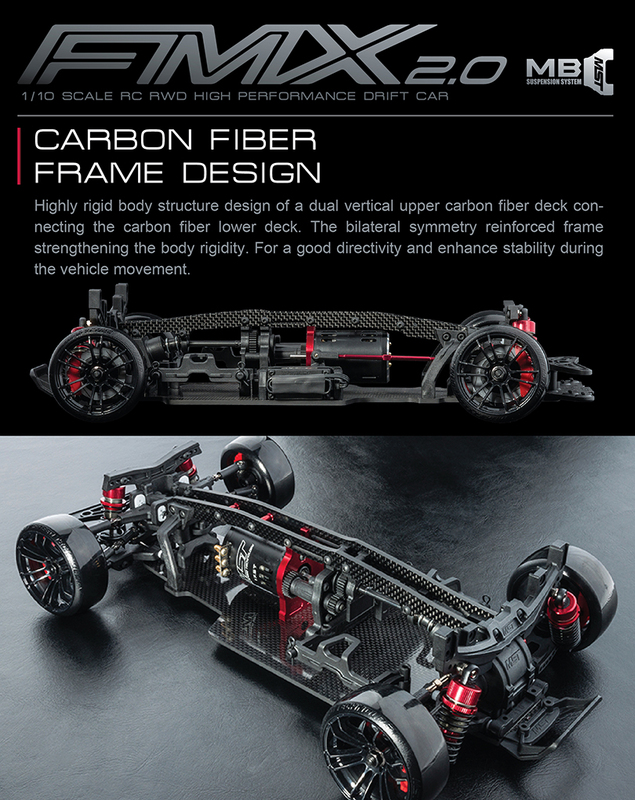 ● Carbon fiber chassis with dual vertical carbon fiber upper deck. 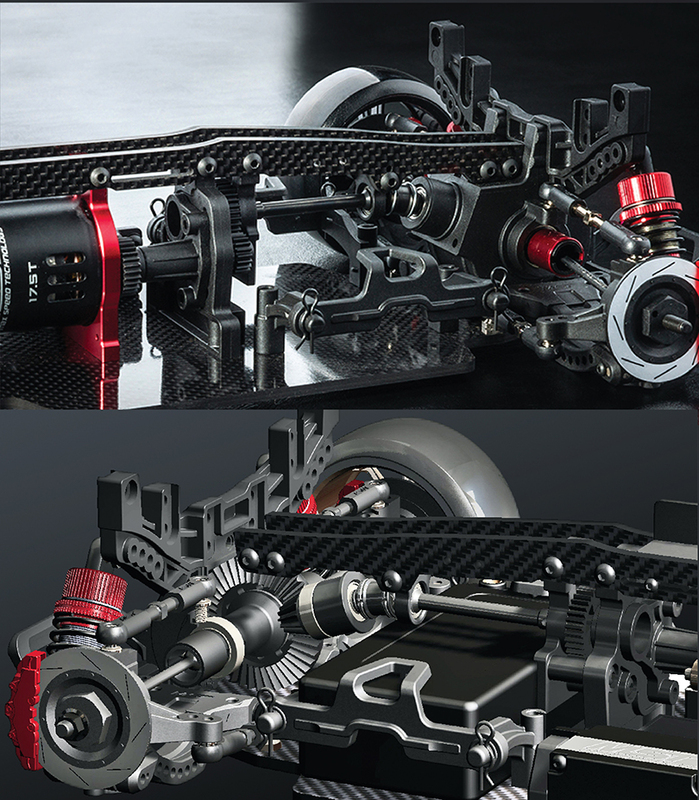 ● New great amount front suspension system. ● Adjustable Ackerman angle variation in 2 sections of steering system. ● Front steering wheel base KPI at 6 degrees. - 0.5 towing distance of axle. 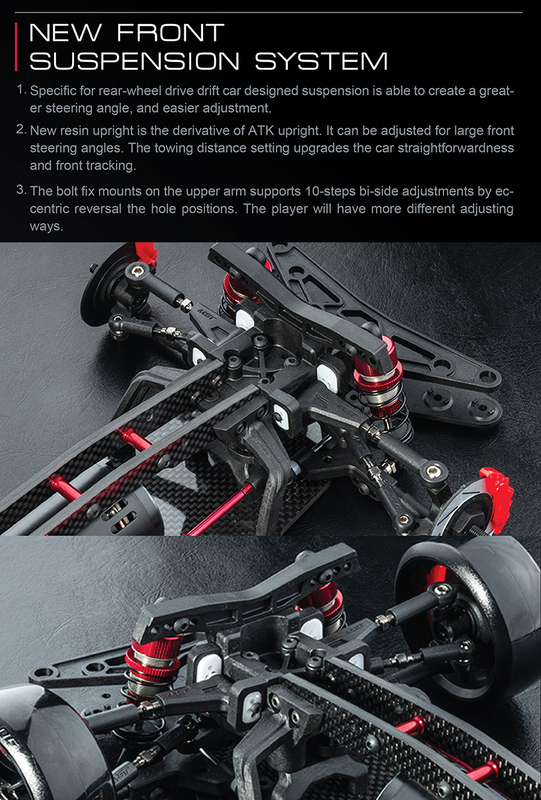 ● Newly designed front upper arm inside seat supports 10-steps bi-side adjustments. ● Full dust-proof rear gearbox with the bevel gear shaft drive. ● Variable second reduction ratio of the rear axle in a total of 6 variable range of 1.78-3.82 (standard 3.82). 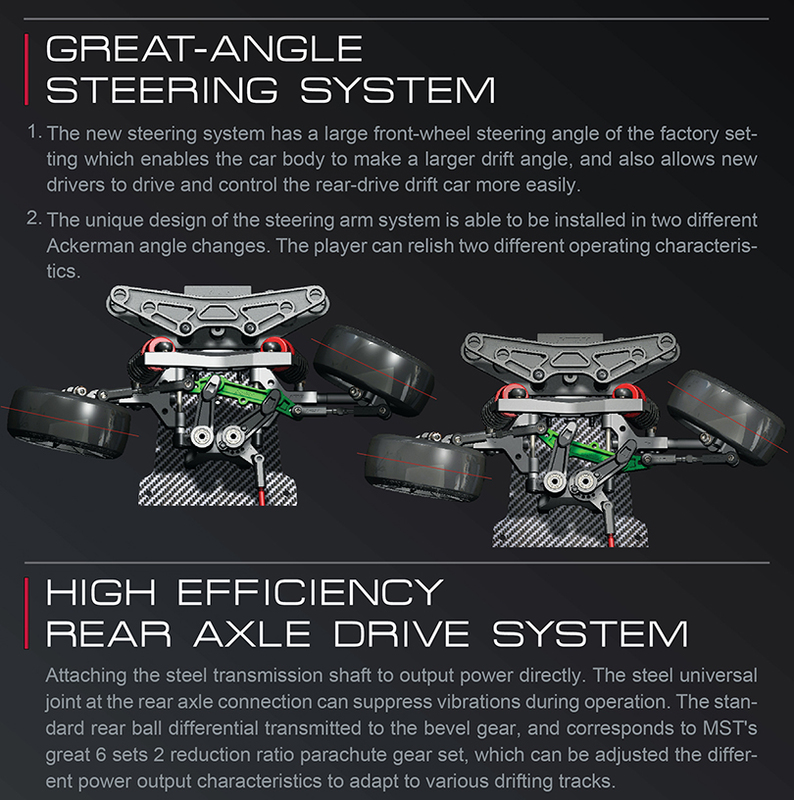 ● Newly designed MB multi-link rear suspension system. ● Rear drive system equipped with the steel CVD drive shaft. ● Standard aluminum high smooth hydraulic damper set. 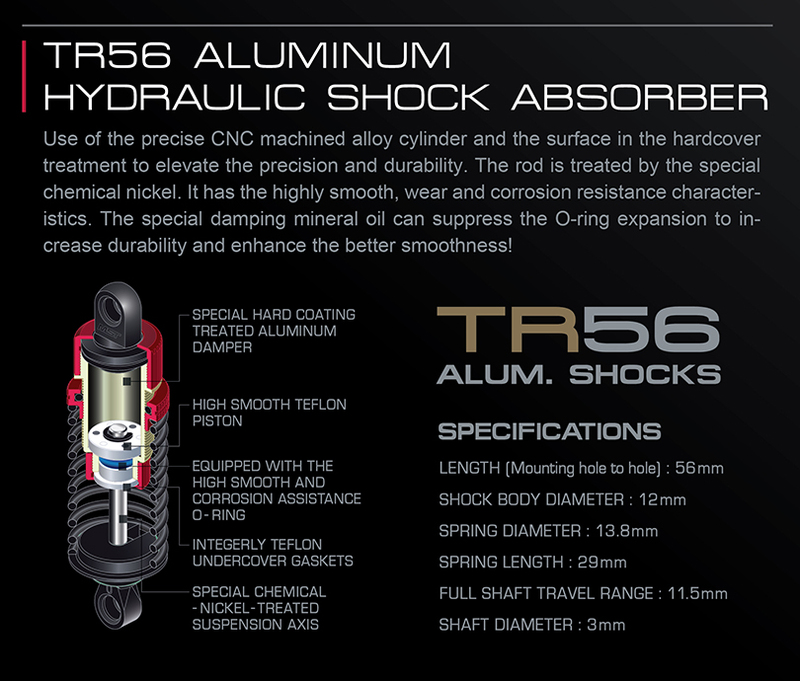 ● Equipped with the high-smooth metal ball connectors. ● Standard equipping with the realistic car brake and caliper set.